Hello and welcome to our sixth newsletter here at Pendant and Ring. Thank you for taking the time to check in with us! It is nice to turn over a new calendar page and get back to work after yesterday’s frivolity. Hope you had a pleasant April Fool’s Day and that all pranks remained lighthearted and funny. During the month of March, Pendant and Ring continued on its upward trajectory. Our growth is steady and stable. We are flourishing online with new subscribers here and new followers across social media. 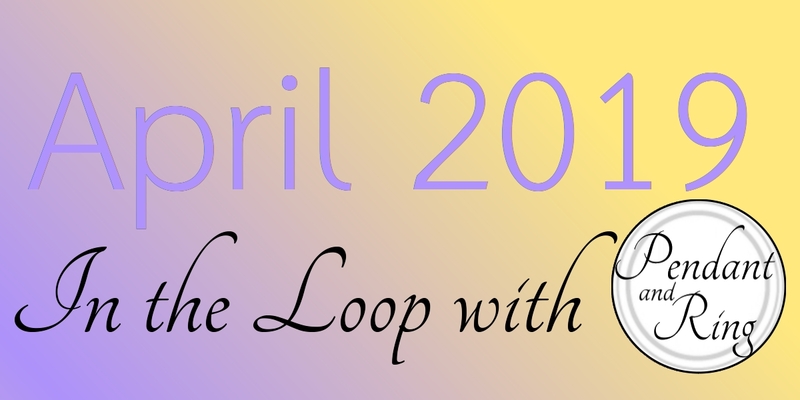 For those of you newbies: Welcome to the Loop! These are the top four performing posts this month; three in the store and one on the blog. Click an image to see the post! Easter is less than 20 days away. If you have not yet, get your Bunny pendants today! As before, click an image to see the post! As more services deliver more mail to customers all over the world it is increasingly important to know what to expect when you order a package online. We use two types of packaging: domestic and international. All US parcels ship in bubble mailers, 5.5 inches wide by 9.5 inches tall. International parcels ship in brightly colored packages with necessary customs forms that are roughly 21.6cm long and about 10 cm tall. If you like we can email you a photo of your parcel before we ship it, so you know what to expect. Just let us know when you check out in the Add Message box or contact us through the website. subscribe below, and we’ll see you on social media! and for reading all the way to the end.